If you have an electric shower and don’t take baths in the summer, you should be able to get by without your boiler heating water. You should consider the fact that water from the taps will not be heated, so if you wash up by hand this could be problematic (although you can always use water heated in a kettle). Many people are concerned about how turning off their boiler will effect appliances like washing machines and dishwashers. If you have cold fill appliances (or hot and cold fill) which is the case with most modern white goods, you should have no problems. This is because they use cold water and heat it themselves using electricity as opposed to water heated by your boiler. It’s important to make sure you boiler is still functioning effectively for when you need it again in the colder months and to avoid any additional maintenance costs. There are problems that could arise from leaving a boiler off for long periods of time including the pipes seizing up. If you do decide to switch off for the summer, turn your boiler back on every few weeks for a short period to ensure it continues to work properly. Summer is the perfect opportunity to get your boiler serviced to ensure it’s functioning properly for the rest of the year until its next service is due. If your boiler needs replacing, summer is definitely the best time of year to do it as you won’t be relying on the central heating to stay warm and don’t run the risk of frozen pipes. 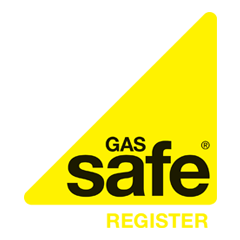 You can get free quotes to replace your boiler from Gas Safe Registered engineers using Boiler Guide’s simple online form.